Captured by The Scarecrow, what psychological pain has the villain unleashed on The Dark Knight? Writer Gregg Hurwitz continues his terror filled saga with Batman captured and at the mercy of Jonathan Crane! Let me give readers a fair warning that issue 12 does have some violent and gory moments, in this truly dark and unnerving look at Jonathan Crane's maddenning terror upon Gotham and it's hero. This is possibly as dark as the series gets in terms of plot and even art. 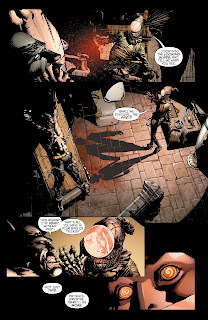 Hurwitz and artist extraordinaire David Finch, continue their look at Crane's tragic past as well as each flashback explodes with visual goodness and hauntingly captures his childhood. 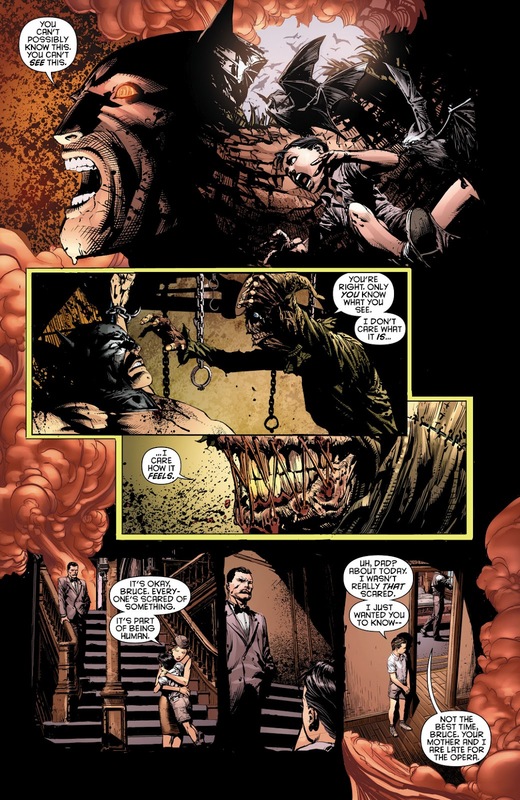 I like what Hurwitz is doing with the focus on young Bruce Wayne's early years as The Dark Knight looks back at moments in his life, sometimes tragic, that spurned his crime-fighting career. Issue 12 is essentially a look at two different lives and the route both individuals chose to take, leading to our situation now. Another plot point to watch for, is Commissioner Gordon. 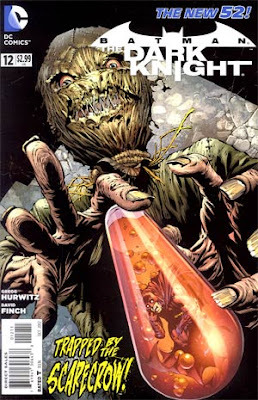 I wonder if Hurwitz actually lets him be easily released by The Scarecrow, in a scene in issue 12, without some part in a future storyline as it relates to his internment by Crane. I'm sure Gordon has been psychologically damaged by Crane and certain that Hurwitz has cooked up something in future issues. Tough as nails as Gordon may be, don't be sure that he's not completely all that he seems to show! One year later of the New 52, this particularly title holds up and remains fresh.